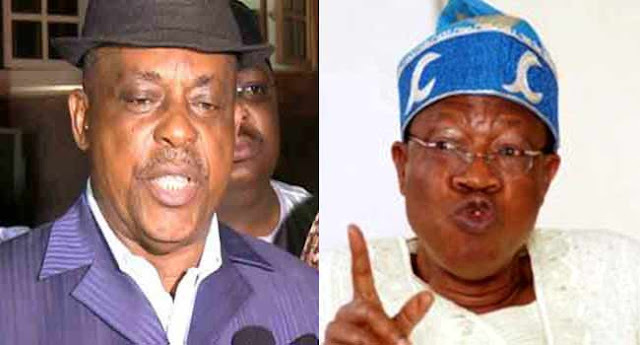 The National Chairman of the Peoples Democratic Party (PDP), Mr Uche Secondus, has dragged the Minister of Information and Culture, Mr Lai Mohammed, to court for defamation of character. A media aide to the PDP National Chairman, Ike Abonyi, revealed this in a statement on Friday. Mr Mohammed had mentioned Mr Secondus in the list of those who allegedly looted the nation’s treasury, alleging that the PDP National Chairman collected received N200million from the former National Security Adviser (NSA). In his reaction, Secondus had through his lawyer, Mr Emeka Etiaba, denied collecting any money from the former NSA. He had consequently asked the minister to immediately retract his name on the list and demanded a public apology and payment of N1.5b damages within 48 hours.